At Ultimate Ninjas, we instill self-confidence, acceptance, and a true hunger for tackling obstacles with a positive mindset. The best part: we have a BLAST doing it! The camps are designed by 3 time American Ninja Warrior Jesse Labreck, you will not find a more positive environment where kids can show up, be valued for exactly who they are, and discover what they are uniquely capable of achieving. During camp, kids are grouped together by age and rotate through stations where they are coached on each obstacle. After learning how to tackle the obstacles, they have time for open play so they can pick their favorites and spend extra time on the obstacles they want to master or just enjoy! At the end of camp all kids will get a chance to run through the course with their coaches just like you see on TV! Build self-confidence and prepare to reach higher than you ever imagined. Classes are designed and led by American Ninja Warriors who train to conquer the same obstacles seen on the NBC hit, American Ninja Warrior. Challenge yourself. Be Awesome. Have FUN! Kids love our obstacles and indoor play areas. This party place is just for you with your very own indoor arenas and party room! Planning birthday parties has never been so easy with our online reservations. Get out all of their energy on our obstacle and agility courses! Practice and explore a variety of obstacles, fine tune your skills on a single obstacle, or practice running our customizable courses. Join a community of people coming together to pursue their passion for movement and to help each other become better. We welcome those who are looking to be part of a supportive community that will inspire you to break limits and achieve things you previously thought impossible. 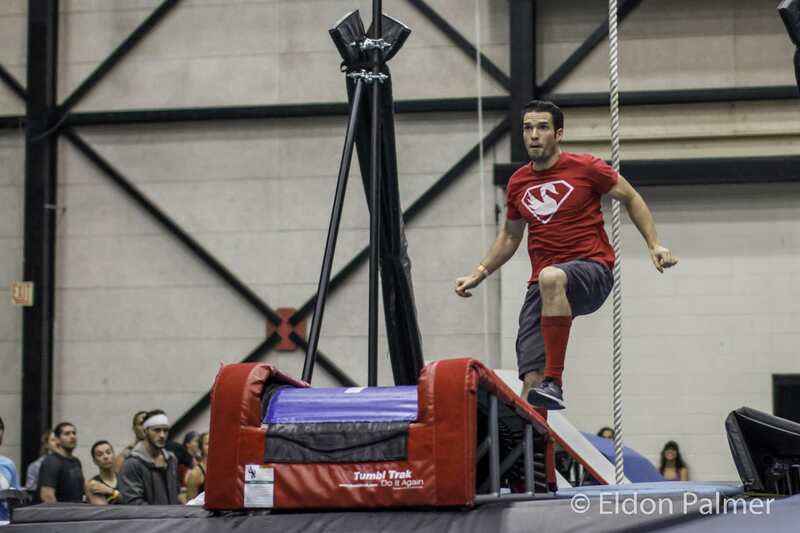 Ethan Swanson has competed on American Ninja Warrior for 4 years. In Season 8, he was one of only 17 to make it to Stage 2 in the Vegas Finals, falling on the new Down Up Salmon Ladder. Named “The Daredevil” by ANW, Ethan earned his name climbing and jumping from everything in sight. Growing up in the suburbs of Chicago, Ethan has been a Chicagoan his whole life and is the Course Operations Manager of Ultimate Ninjas Chicago where he is in charge of all things NINJA including class curriculum, safety, ninja training, and challenging kids to do their best! On August 21st, Ethan will compete in the Kansas City Finals of American Ninja Warrior for a spot in the National Finals in Vegas. Ethan lives in Chicago, travels in his free time to compete in ninja competitions, and loves teaching kids that failure is an amazing way to learn about yourself, and how to get stronger! We just threw my daughter’s 6th birthday party here and it was wonderful! They were very helpful and accommodating. Our guests had a great time and the staff assigned to help our party could not have been nicer. I would recommend this for a party venue (or just a fun open play/class activity) to anyone! Hannah B.
I brought my 11YO son today for open gym and he absolutely loved it! It definitely became more crowded after 12:30, but the staff was great and offered assistance when requested. The obstacles were just like the show and are easy to try, but challenging to master. We will be back for sure! Amy J. 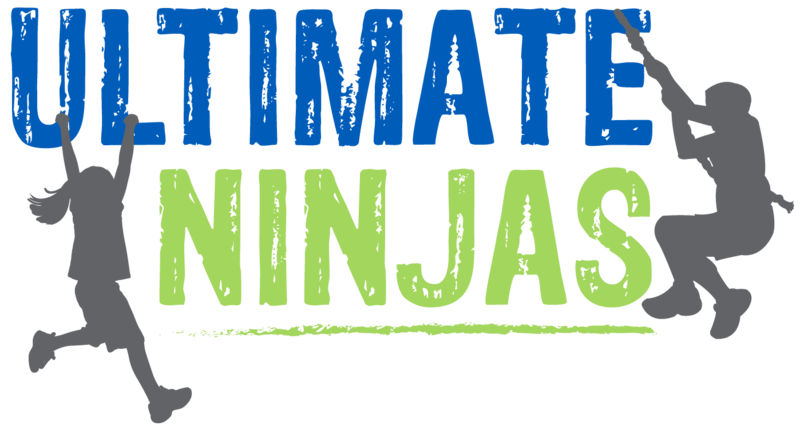 Whether it’s a child’s next birthday party, their next adventure, or an adult's path to better health, Ultimate Ninjas is the place to be. With a wide variety of courses for every age and skill, you are sure to have fun while boosting self-confidence. 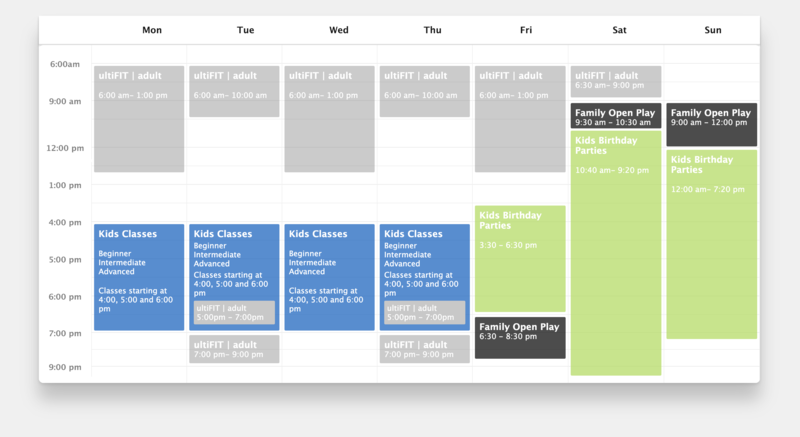 Naperville and Libertyville Adult Classes coming soon!